WASHINGTON — President Trump wrote off $100 million in business losses to reduce his federal taxes in 2005, according to forms made public Tuesday night in a rare glimpse at documents that he has refused to disclose since becoming a candidate for the nation’s highest office. The forms showed that Trump paid $38 million in federal income taxes on reported income of $150 million, an effective tax rate of 25 percent, according to Rachel Maddow, who aired them on her MSNBC show. By claiming losses from previous years, Trump was able to save tens of millions of dollars in taxes that he otherwise might have owed. 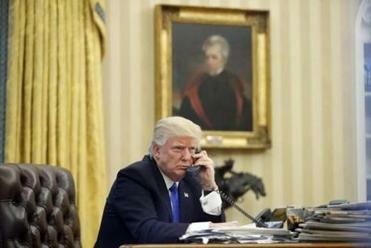 The White House responded without even waiting for the show to air, issuing a statement that seemed to confirm the authenticity of the forms even as it defended Trump and assailed the network for publicizing them. “You know you are desperate for ratings when you are willing to violate the law to push a story about two pages of tax returns from over a decade ago,” the statement said. Analysis: This 2005 Trump tax return wasn’t the key. Not even close. For all the hoopla surrounding the unearthing of these documents, there simply was no smoking gun — or anything close to it — here. Read: If there are no secrets in Trump’s tax returns, why hide them? The tax forms were sent to David Cay Johnston, a former New York Times reporter who covered the Internal Revenue Service for years and has written a book on Trump. Appearing with Maddow, he said he had received the forms “over the transom” and did not know who had sent them. He suggested that they might even have been sent by Trump himself. “Donald creates his own reality. … He doesn’t live in the world that you and I live in, a world of verified facts,” Johnston said on the show. Johnston said Trump’s tax rate for that year was just 24 percent, about the same rate that would be paid by an upper-middle-class married couple like himself and his wife, who earn more than $400,000 a year, far less than the $150 million-plus that Trump made in 2005. 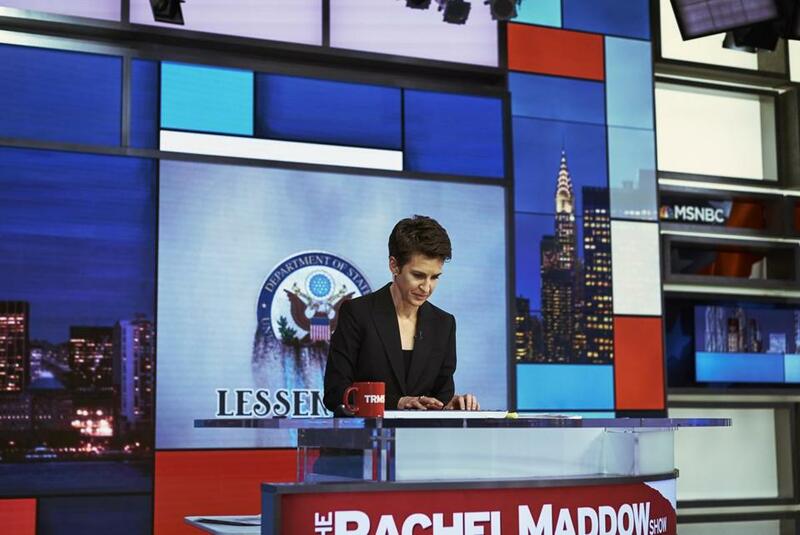 During her show Tuesday night, Maddow said the documents included two pages, front and back, from a 1040 tax filing. Trump’s refusal to make his tax returns public broke with decades of tradition in presidential contests and emerged as a central issue in the campaign. That drumbeat has continued since he entered the White House, particularly from people who feel his returns may shed light on various aspects of his business practices, including whether he has done business with Russian firms and banks. Trump initially promised he would release the returns: “I have very big returns, as you know, and I have everything all approved and very beautiful, and we’ll be working that over in the next period of time,” he said in a January 2016 television interview. He then backpedaled, saying he would wait until the IRS had completed its audit. In May 2016, his lawyers released a letter saying that his personal tax returns had been “under continuous examination” by the IRS since 2002, and that the examinations for the returns from 2009 on were continuing. The IRS has not confirmed that Trump’s taxes are in fact under audit. Democrats immediately pounced on Tuesday night’s report, arguing that the White House’s decision to release details of Trump’s 2005 taxes before Maddow’s show undercut his past refusal to release any such information. In October, The New York Times published three pages of Trump’s 1995 returns, which showed a $916 million tax deduction that could have allowed him to legally avoid paying any federal income taxes for up to 18 years. This deduction was derived from the financial wreckage of some of the companies he drove into bankruptcy years ago, including his Atlantic City casinos, and would have allowed him to cancel out taxable income for an 18-year period. A tax code provision benefiting real estate developers, which took effect in 1993, permitted businesses like Trump’s to take tax deductions for losing other people’s money. Few people outside of Trump’s inner circle have seen his tax returns. One person who has is Timothy L. O’Brien, another former reporter for The New York Times, who was sued for libel by Trump after he published a book that argued that Trump’s net worth was $150 million to $250 million, rather than several billion dollars, as Trump had claimed. The suit was ultimately dismissed. Limited information about Trump’s tax returns from other years has surfaced in court and regulatory records. A 1981 report by New Jersey regulators assessing Trump’s fitness for a casino license stated that he had paid more than $71,000 in federal income taxes on about $218,000 of taxable income earned from 1975 to 1977. But in the next two years, 1978 and 1979, Trump paid no federal income taxes. The report explained that by taking advantage of deductions available to real estate developers and claiming losses from partnerships, he was able to report a “negative income” of $406,379 in 1978 and $3.4 million in 1979, thus avoiding any tax liability for those two years, a time when he claimed to be worth hundreds of millions of dollars. Tax court records indicate that Trump also avoided paying any federal income taxes in 1984. In 1991 and 1993, when Trump’s Atlantic City casinos were in deep financial trouble, casino commission reports show that he claimed losses that would have allowed him to avoid paying income taxes in those years, too. Trump may have been able to use those losses to reduce or eliminate his federal tax bill for years to come. During the presidential debates, Hillary Clinton suggested that Trump was refusing to release his tax returns to hide the fact that he did not pay federal income taxes. “That makes me smart,” Trump retorted during one debate. In response to The Times’s disclosure that Trump could have used a $916 million tax loss to avoid paying years of federal income taxes, Trump and his surrogates said the revelation merely proved Trump’s “genius” at legally avoiding that burden. If there are no secrets in Trump’s tax returns, why hide them? Globe correspondent Jeremy C. Fox contributed to this report.